Introducing your courses, training or subject matter is important even though it may sometimes seem unnecessary. The idea is to allow the learners to grasp the usefulness of these sessions that he will follow and to explain to them how the sessions will take place. This motivates the learners and improves their posture in front of the courses that will follow. In an educational relationship it is important that everyone's place and role are clearly defined. This lays the foundation for the relationship within the group. That is what this introduction allows. It also allows the learner to question himself about his presence in this course, about what the course will bring him. That way he'll be more involved, more motivated. It also has a small icebreaker side thanks to the interactions. It allows to see a little the group that there is opposite, to know its expectations but also its a priori about the matter. And once again to have defined the role of each one and to have explained to the learners the pedagogical approach is important. This introduction can only be useful if the teacher will have other courses with the same group, on the same topic/subject. This lends itself well to year-round (or almost year-round) courses. For example, a modern language course (English). The introduction must then be given during the very first class with the learners. Before embarking on this introduction, you should of course introduce yourself, and why not also do an icebreaker with the group, or just a tour of the first names (if the size of the group allows it). If the group is relatively small, we can start by asking everyone to complete these 3 sentences: during class I would like..., I would not like..., at the end of all classes I want... And everyone gives their answers in turn. If the group is too large, there are possible alternatives (see Variants). What's the point of me attending this class? What can a teacher do? (while I have my computer and internet access). We ask the first question. The group of learners is then asked for an initial response. If no one is speaking, do not hesitate to name someone. Then the teacher also provides prepared answers. This can take several forms: a simple answer, anecdotes or more playful like a quiz to draw attention to certain points, ... Then with a small transitional sentence we go to the second question and we start again, and we do the same thing with the third question. Question one: What am I doing here? It is a question of showing the interest of such a subject/course for the learner's personal pleasure/general culture/career path. Question two: What do I need it for? 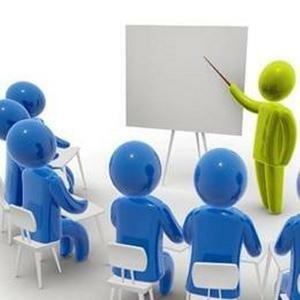 In continuity with the usefulness of the subject/courses for the learner's professional career, it is necessary to highlight the importance of the knowledge/know-how/being-knowledge that the learner will acquire, how it will be useful to him, how it is already useful to others who have made the same career path. Question three: Why have a teacher? It is true that new technologies, the Internet in particular, can call into question its usefulness, yet it is rarely questioned and the role of a teacher is rarely defined, as if it were self-evident. This question allows you to set things straight and to introduce the logic and the pedagogical method that will be used throughout the course. For the following courses, it is important to follow the pedagogy announced during this introduction, but this is quite obvious. The impact on learners is difficult to assess. It is up to you, the teacher, to feel if the posture that the learners then take in front of the teaching is the one sought or not. If not, perhaps the introduction should be repeated a little. Discussing this introduction with the learners, what they thought, if they have any comments,... can also be interesting. For the first part with the 3 questions (during the course I would like, ...), if the group of learners is large, can be done differently (otherwise it would take too long). It all depends on what you, the teacher, want to do with it. If the question is purely rhetorical (your curriculum and pedagogy are already established and you will not change them) then instead of asking everyone to answer the question, simply ask a small number of learners, volunteers or randomly selected, to answer it. If you really want to have a clear view of the group's expectations, you can ask them to write their answer on a sheet of paper that you will collect. You can also do both: have them answer on paper and then interview a few learners, but it takes a little longer. This method can also be used to introduce training. The idea is then to make learners understand the interest of the training (interesting if they do it by obligation) and to explain the pedagogy that will be used during this training time. The detailed training programme can also be presented at the end of the introduction. We must try to anticipate the type of response that learners can give to the questions asked, in order to be ready to bounce back on them. But you also have to be prepared for unexpected answers. And we must also be able to continue if learners do not give the expected answers. It is necessary to be vigilant with the subjects or supports used to bring its answers. If one of them creates a blockage in one or more learners, they will not participate. It can even block the dynamics of the whole group. And the subjects which block depend on the public, it is necessary to know how to adapt to this one. If you use a support, in particular a slide show or other video-projected tool, you are not safe from a technical problem. Then you have to find a solution: either you manage to solve the technical problem, or you do your introduction without support. It is of course also possible not to do the introduction but it would be a shame because it is not something that can be saved for the next course. Another problem may come from the group: if learners do not know each other and are not comfortable they may have difficulty speaking. Sometimes this is not disturbing, it does not mean that they do not think about the issue in their head. But if this blocks the dynamics of the presentation, then the solution is to randomly assign a learner to respond. For me the objective of this course is to create group dynamics, to create motivation. It is also about discussing the educational contract between me and the group. I have always had only positive feedback.